How long has Fox Chandelier Cleaning been in business? 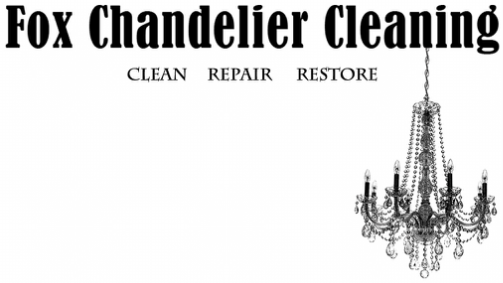 ​Fox Chandelier Cleaning has been in business since 2004. ​Is Fox Chandelier Cleaning insured? Does Fox Chandelier Cleaning have Worker's Comp for its employees? Fox Chandelier Cleaning services San Francisco and the entire Bay Area. Please contact us to find out if you are in our service area. Where are the services performed? All services are performed on-site at your home or business. The cost of services depends on the scope of work to be performed. Please contact us to arrange a free on-site estimate. The best option to receive the most accurate estimate is to have a free on-site estimate. We can then evaluate the condition, access to the fixture and the scope of work to be completed. Due to the intricacies and range of size, type, condition and access, it is very difficult to even give a ballpark estimate without seeing the fixture in person or photos of the fixture. However, if you prefer to bypass the free on-site estimate, we can email you our online intake form to complete, and we will be able to give you an estimate via email, but please note this option is not as accurate as our free on-site estimate. How often should I have my chandelier cleaned? Do you only clean chandeliers? Aside from cleaning chandeliers, Fox Chandelier Cleaning also cleans wall sconces, lanterns, ceiling fixtures, and any kind of light fixture, as well as specialty art glass. If the fixture is installed: First, all furniture underneath the fixture must be moved out of the way. We then protect the floor by placing packing blankets on the ground. The light fixture is left hanging and turned off. While on a ladder or scaffold, we carefully inspect and clean each individual part of the chandelier. While most parts can be cleaned with the fixture hanging, sometimes it is necessary to remove parts, clean them, and then replace them. If chandeliers and light fixtures have not yet been installed: We can bring and set up racks at your location from which we can hang the fixture while we clean it. This option works well for homes being built, remodeled and/or for new fixtures coming into a home. What do you use to clean a chandelier? Fox Chandelier Cleaning use a special liquid cleaning solution created exclusively for cleaning crystal and glass. Depending on the type of chandelier, we wipe or brush the cleaning solution on; for pieces that have been removed, we will dip, wipe, or brush the cleaning solution on. Once the parts are clean, we hand buff each piece to ensure every part of the chandelier is sparkling. For non-crystal and glass parts such as metal frames, dusters and cloths are used. Do you spray the chandelier and let it drip dry? No, this doesn't work. These products make all the dirt drip down the chandelier and crystals and leave a film on the crystals and in the bobesches. The only way to get the chandeliers sparkling is to clean them by hand. Due to the intricate nature of the cleaning, each chandelier and light fixture takes a different amount of time. The size, how much cleaning is needed, the access to the chandelier and the complexity of the chandelier determine the length of time it takes to complete the cleaning. How do you clean very hard-to-reach chandeliers? For difficult to reach chandeliers, scaffolding can be set up, or an electrician can remove the chandelier so it can be hung on a rack, cleaned and then re-hung by the electrician. ​Do you rewire crystals and assemble crystals? ​Can you replace missing crystals and parts? Do you do electrical rewiring and restoration? Do you do electrical repairs? Fox Chandelier Cleaning does not do electrical repairs; however, we sub-contract all our electrical work out and can arrange these services for you or recommend someone to you. While we do assemble chandeliers and crystals and parts on the chandeliers, we do not do any electrical installations. However, we sub-contract all of this work out and can arrange these services for you or recommend someone to you. How far out do you book jobs? We typically book at least one week out but our schedule varies from week to week. We try our best to accommodate our clients date requests. However, we are a small company and at times do book up quickly, especially during our busy season from October through December, but we always do our best to try and fit everyone in. What hours do you work on the job? Fox Chandelier Cleaning typically works at the job site during the hours of 7:00 AM - 6:00 PM. Can you complete the work on the weekend or at night? Yes. If you prefer to schedule the work during the weekend or at night, these services are available for an additional cost. Yes. Rush services are available for an additional cost.